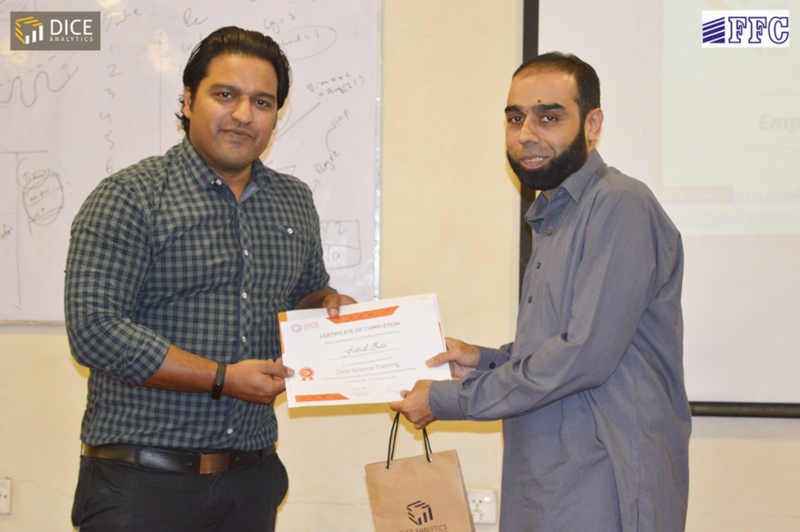 We are proud to have an alliance with Fauji Fertilizer Company for corporate training on Data Science! It has been a thrilling experience for us to unite with Pakistan’s Largest Chemical Fertilizer Producer. 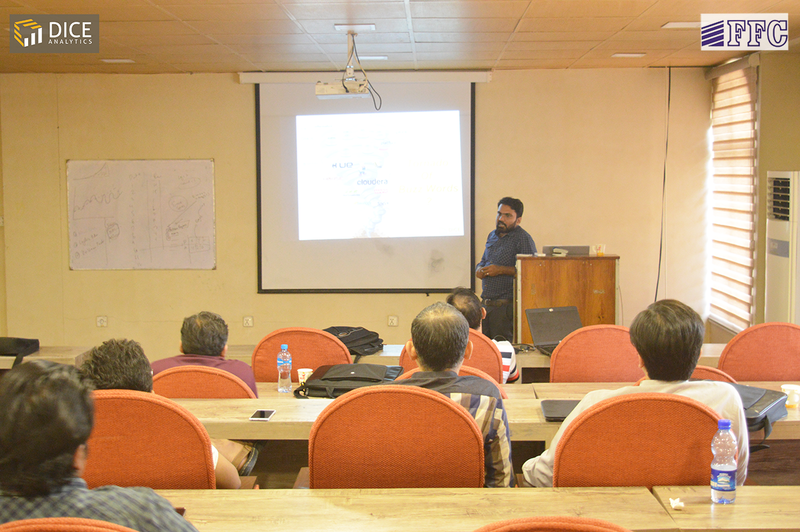 Being the largest fertilizer company in Pakistan, FFC has to run advance and predictive analytics on it’s huge data being gathered over years. 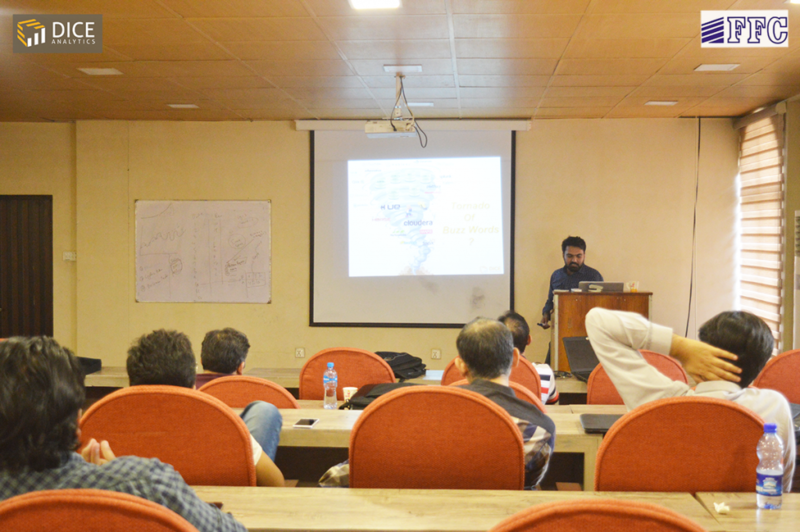 So the goal of the training was to learn the deployment of Machine Learning, Deep Learning and Data Science technologies in such a large organization. 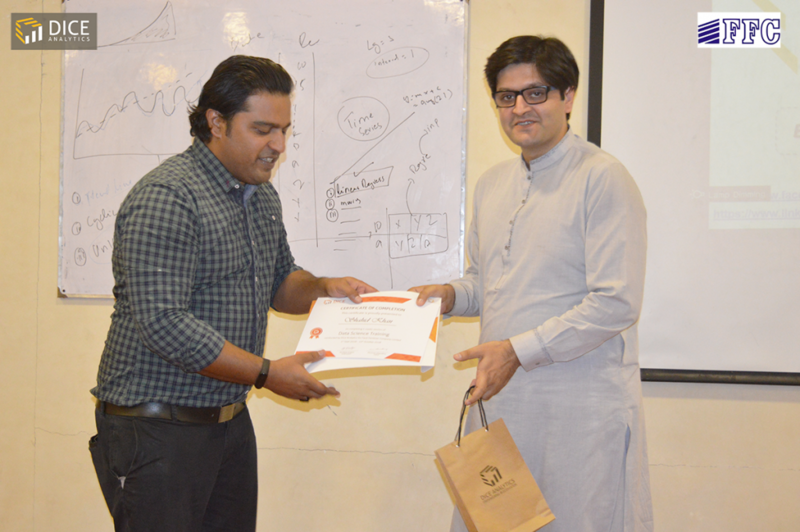 Considering the objectives of the training, Data Scientist, Mr. Ali Raza Anjum delivered the content with hands-on of all necessary ingredients of Data Science. 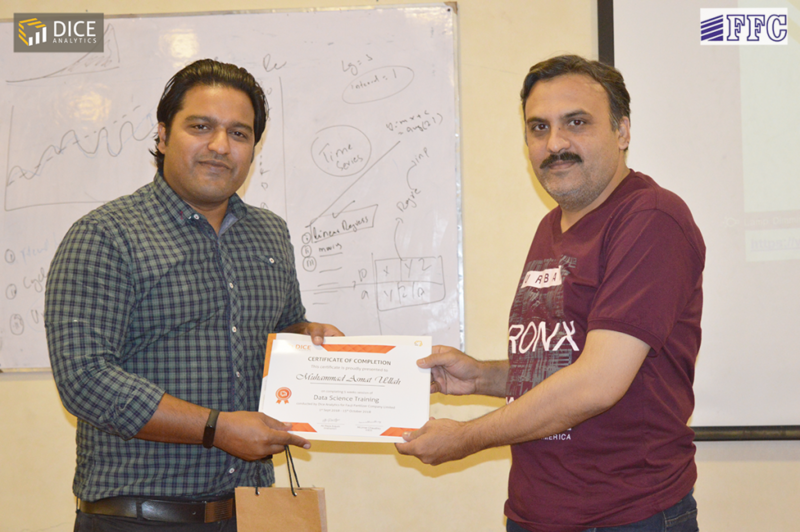 FFC team has been offered a 7 days long training on Data Science . 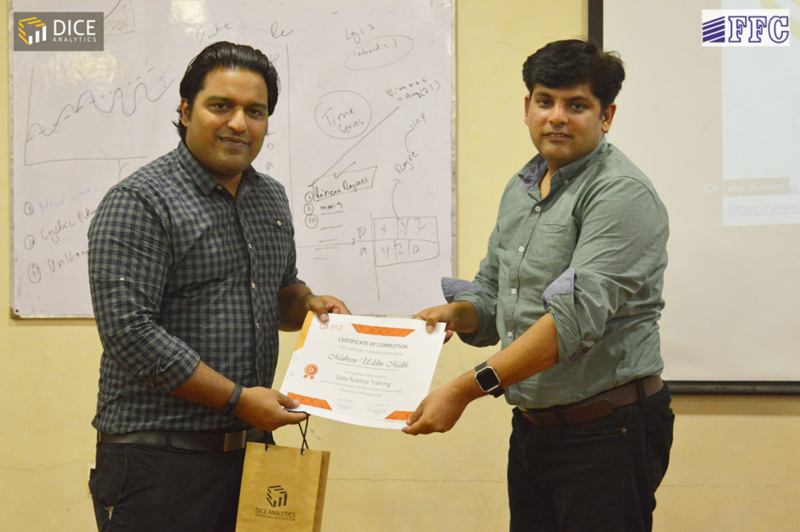 The training covered Exploratory Data Analysis, Visualization, Supervised Learning, Unsupervised Learning, Regression, Predictive Modeling, Statistical Inference. 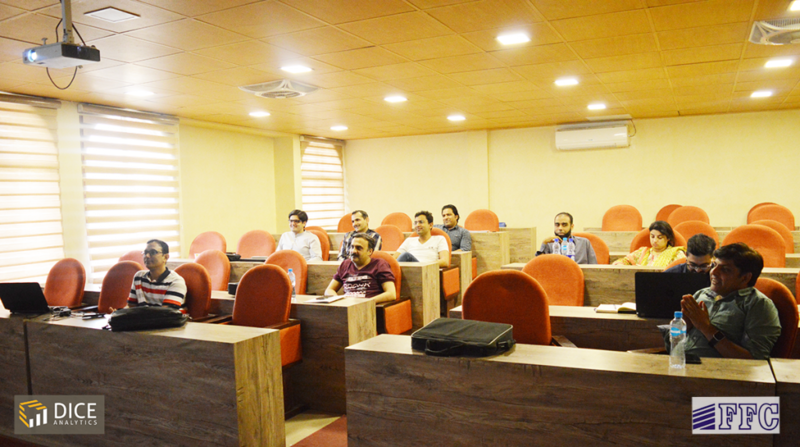 The training also included extreme hands-on of Data Science Algorithms including Clustering, Decision Trees, Classification, K Nearest Neighbors, ID3, Cart, C4.5 and Random Forest. 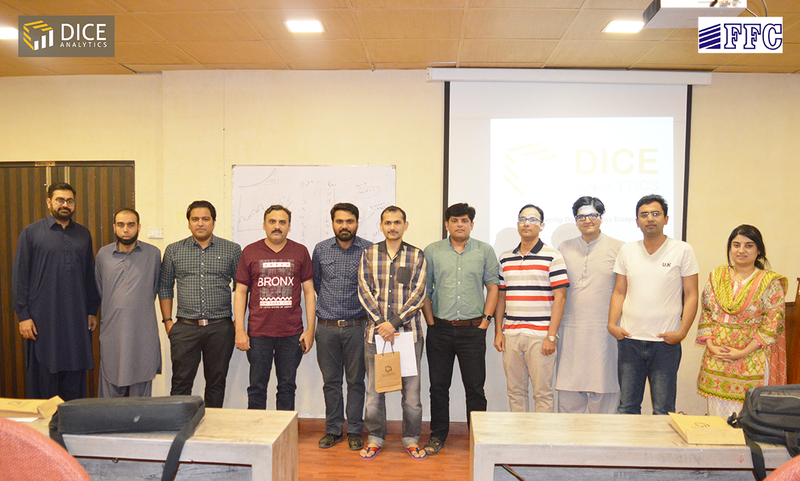 By the end of training, CEO of Dice Analytics, Mr. Umer Chaudhry, joined the FFC team to greet and know their experience and learning they have gained with Dice during this training. 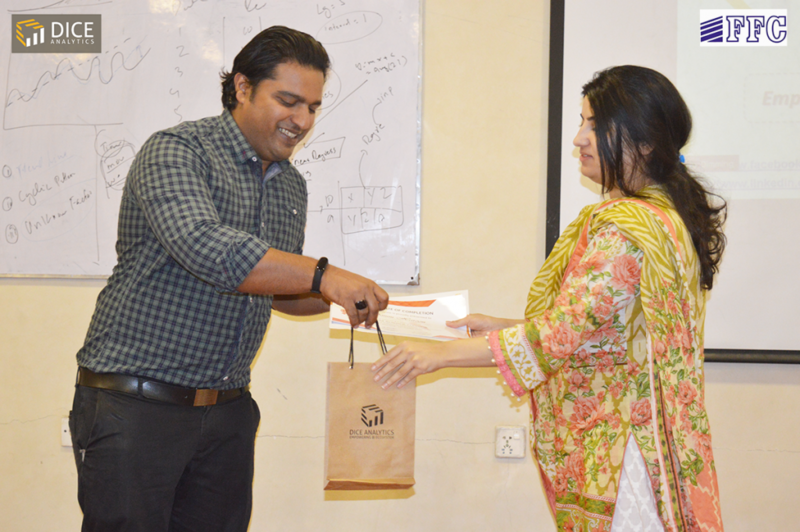 Also, Mr. Umer awarded the training participants with the recognition certificates and Dice souvenirs. Congratulations and our best wishes to FFC Team!